About a year ago, Mr., Mrs., and Jr. Thirdwigg packed up some boxes and left Chicago for Grand Rapids. 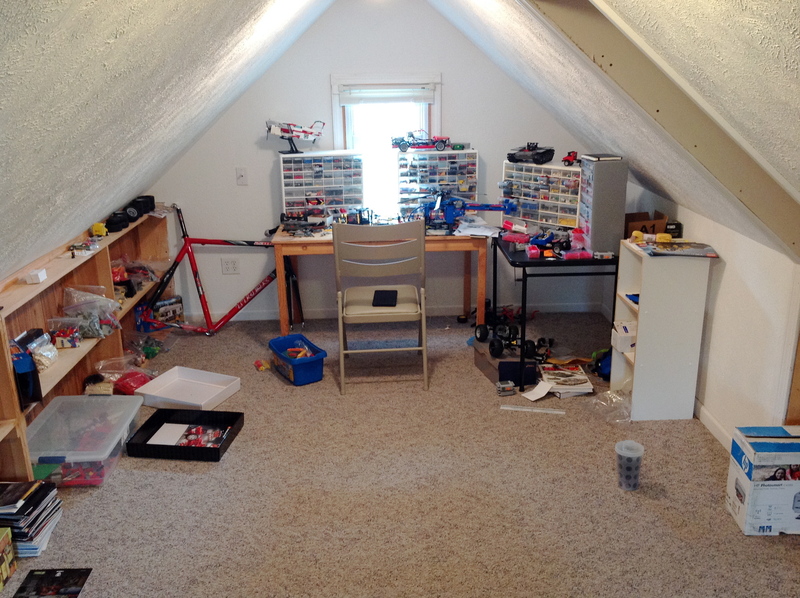 Along with many other changes, this relocation provided myself a room devoted to LEGO; well at least until it will be commandeered (shared?) as a family play room. It is not too fancy, but it works well. The room is in the attic of the house without heating or cooling; the summers get a little hot, but the winters are fine. I have two little tables on which I do my building, and four organizing shelves that keep many of the high use parts close at hand. 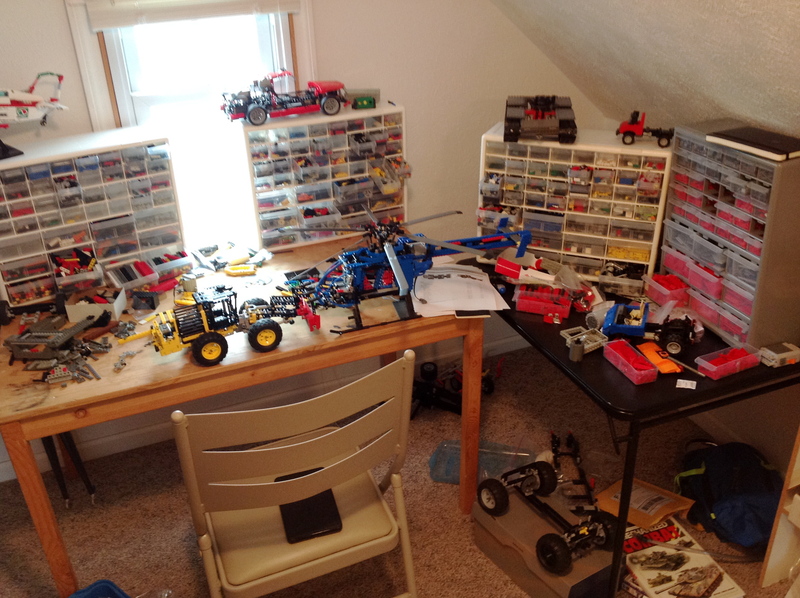 Tires, books, and empty bricklink packages are strewn about, at least until I can muster up the gumption to put them away. Organization is always a work in progress, and as you can see, some things need to be put away. Careful eyes can see some projects from The Queue that are getting close to completion. The room has some nice build in shelves on both sides of the room. As you can see, I keep a lot of infrequently used parts in bags off to the sides, and some of the larger Wheels and Tires. 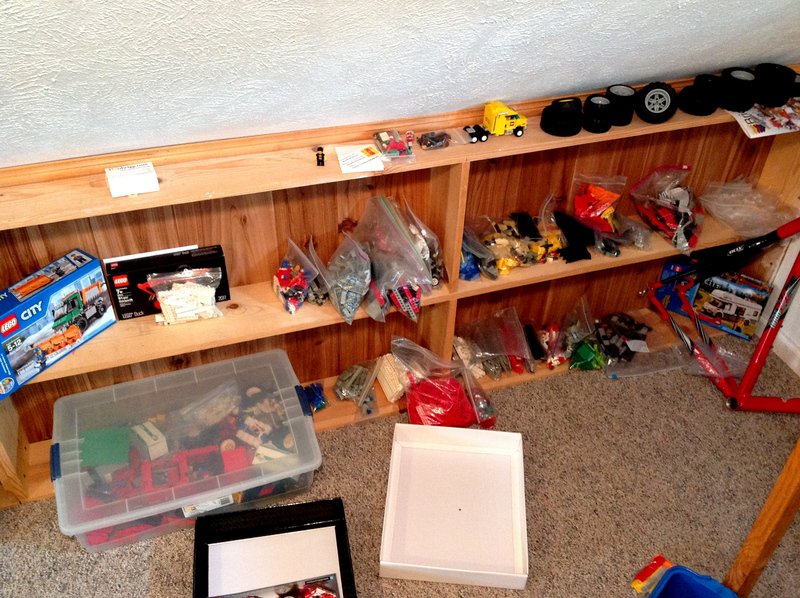 I also keep an large box on the floor for when small children want to come over and play in Uncle Thirdwigg’s LEGO room. Happy building. More MOCs will be finished soon.